Daniel Caligiuri's long-range winner was helped on its way by Christian Günter's deflection. 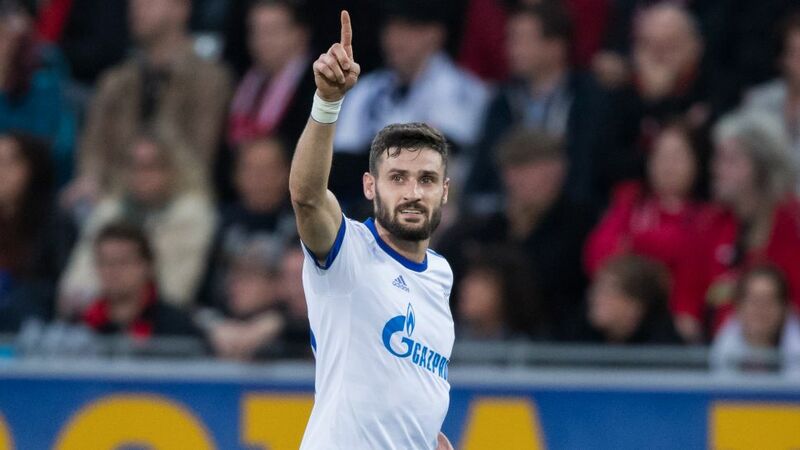 A deflected Daniel Caligiuri goal helped Schalke to a narrow win against Freiburg and lifted Domenico Tedesco's team into the Bundesliga top four. Shortly after the opening whistle, Freiburg attacker Janik Haberer accidentally upended his coach Christian Streich. Despite neither side managing to edge in front thereafter, both produced several good openings. Under early pressure, the visitors eventually rallied and almost went ahead when Yevhen Konoplyanka met Franco Di Santo’s pass before firing against the post. At the other end, Nils Petersen’s deflected shot hit the crossbar before Bartosz Kapustka’s right-footed strike met the same fate. Hoping to keep a nine-game unbeaten home run intact, the hosts made a strong opening to the second half. Played through by the lively Kapustka, Petersen ultimately failed to beat Schalke goalkeeper Ralf Fährmann. The miss would prove costly, with Caligiuri netting against his former side via a deflection off Christian Günter to help earn the Royal Blues a third away triumph of the campaign. Caligiuri emerged from the Freiburg youth academy, winning the youth cup under current Freiburg first-team coach Christian Streich in 2006 and playing 93 times for the Black Forest club in the Bundesliga.Schalke have now won three away from home, losing their other two away games without scoring.Prior to today, the hosts previously went four Bundesliga games unbeaten against the Royal Blues.Including last season, Freiburg were on a nine-game unbeaten streak at home and a positive result against Schalke would have equaled a club record set in 2012. Click here for the Freiburg vs. Schalke Match Centre!